I’ve been wanting to try out the disappearing nine patch ever since I saw Karen’s quilt a few years ago. When Amanda mentioned that she wanted to make a patchwork canning mat and that she wanted to do a disappearing nine patch, Katherine & I cried ‘quilt along’ right away. 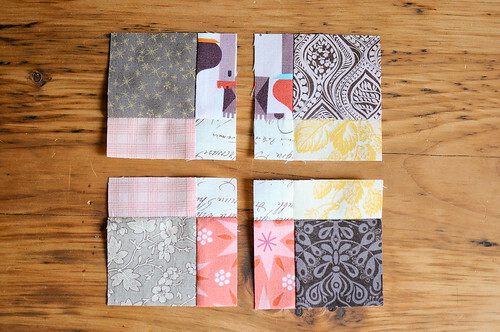 I had a stack of fat quarters already picked out from my Colour Theory Class that I wanted to use. I’m realizing now how autumnal my colours are. That peachy colour just looks so good with the browns. We’re making 25 blocks that will finish at 5″ each. I was able to start putting mine together on Sunday. The nine patches came together really quickly. 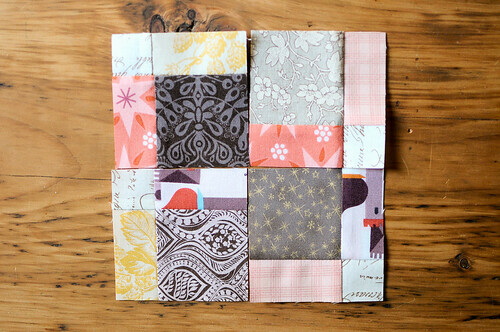 Once your blocks are together, you slice them vertically and horizontally through the centre. 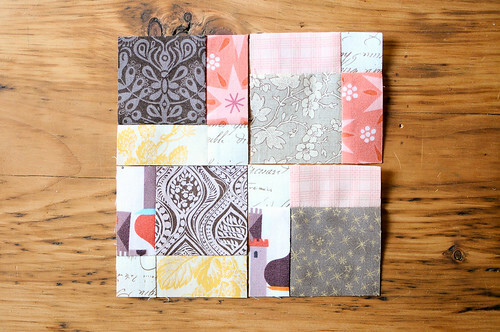 Then you rotate the four pieces and sew them back together. There are a few different configurations you can come up with when you twist the blocks. Fun! Canning season is almost done for this year, but I’ll surely have this done before next year. oh my…this has been on my list of things forever as well!! Your colour choices are lovely as always. 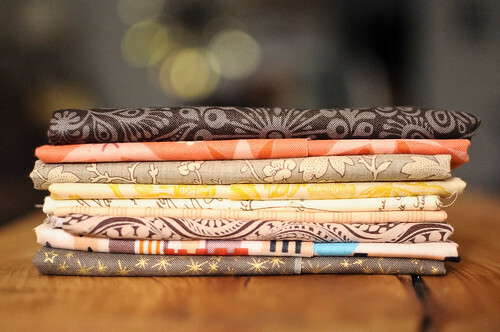 I love your fabric choices – very autumy without being just brown and orange. I’m curious – what is a canning mat? Is it just a little quilt to put your jars on as they come out of the canner? I’ve just been using a tea towel folded in half but the idea of having a special little quilt to come out with my canning supplies each year is very tempting. hi shelley! yep, a canning mat is just a little quilt to put your jars on while they are cooling. 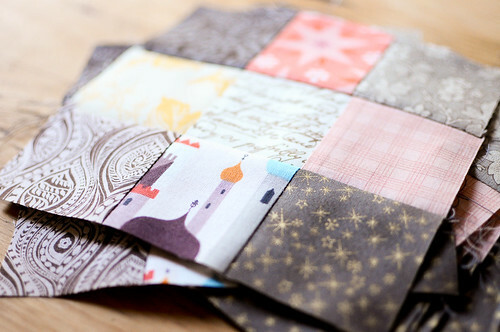 i’ll take any excuse to make a cute mini quilt! This is so lovely. I have not seen this technique before and love it. 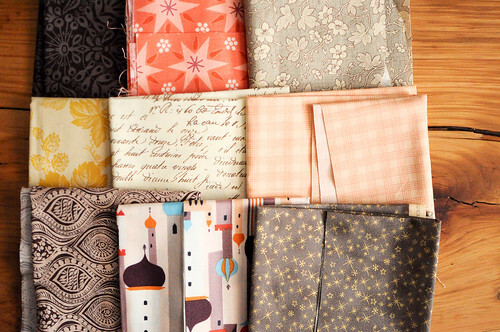 Also you colors and fabrics are just stunning. Saw this on pinterest. gluten free gift recently posted..gluten free market – it’s hip to be gluten free! Karyn, this is going to be gorgeous. You have an amazing ability to take fabrics that I would not give a second glance, and combine them in a way that makes me covet them. I can’t wait to see the finished product!